The most important thing to understand about my approach is that the resume is a sales presentation. It has to persuade, not just describe…and it has to spell out to prospective employers, in simple and clear terms, the value you can deliver. If there’s a common failing with resumes, it’s that most are about what you want, not what you offer, and that the resume fails to give proof of performance. I show my clients how to present real value, not fancy words on fancy paper. We begin by simply talking. It’s a conversation, not an interrogation. Interviewing you, I ask leading questions to draw out everything that might be useful in your history–and I make it surprisingly easy, clients report. I don’t take a fill-in-the-blanks approach. 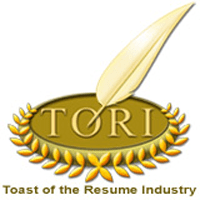 I work with you to take inventory of the best you have to offer, and that’s what your new resume will reflect. After that conversation, the hard part for you is past. I do the heavy lifting, producing a draft of your new resume. Then we inspect it together as a quality control measure. We make certain it passes two tests: accuracy and authenticity. By ‘accurate’ I mean true and correct in every way. ‘Authentic’ means: you can recognize yourself in your resume. We make any corrections or changes needed until your new resume is something I’m proud to show you as an example of my work, and (more importantly) something you’re proud to show to employers. That’s when it’s ready. In addition to professional resume writing, I provide cover letter templates with my resume packages. I’m available as a resource for you throughout your job search. And once you’re a client, you’re always a client–as your career and your needs evolve, your resume will evolve with them. The idea is to give you all the tools you need to succeed in your search, except for perseverance and luck–bring those with you! My fees are tailored to your individual needs, generally ranging from $250 (for student and entry-level candidates) to $750 (senior executives). I will provide a specific quote after our initial (free) conversation, when I better understand what you need. Call me at (619) 316-3439 so I can answer any questions you have, and ask a few of my own to learn about your situation. I look forward to working with you to advance your career!